Tsion Yared, Carly McNatt, and Chiles traveled to Portland, Oregon and ended their season on very high note at the Nike Cross National race. 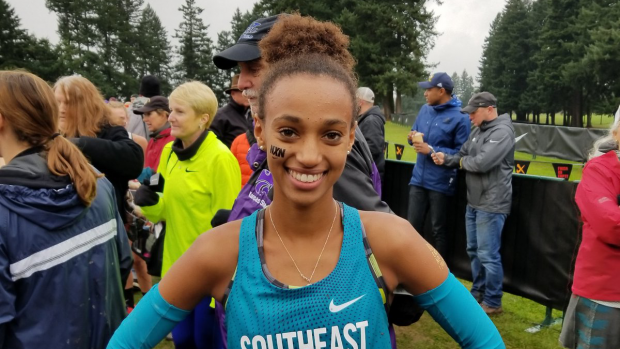 As a two-time NXN qualifier, Tsion Yared, is no stranger to the NXN course, and on Saturday she proved her strength and competitive fire as she raced the top athletes in the nation. With fresh Nike gear in hand, Yared and Carly McNatt, were ready to bring the Florida heat as members of the Southeast team. Both Yared and McNatt went out with the leaders, Yared went through the mile in 5:20.2 with McNatt right behind in 5:21.6. These ladies were in a massive pack that continued till the two mile with Yared running 11:09.4 and McNatt right behind in 11:17.0. With a very fast start on the hilly and muddy NXN course, Yared and McNatt pushed it in on the final stretch. Yared finished 23rd in a time of 17:39 to become the highest female Florida finish ever at NXN and end her strongest season yet, as only a junior, we will see her next season for her seventh and final high school cross country season. McNatt finished 36th in a time of 17:49 to end her breakout season as just an eighth grader! We will see her for her high school debut in the 2019 season. After catching up with former FSU steeple star and fellow Tallahassee gal, Colleen Quigley, the Chiles ladies were ready for their first national meet. 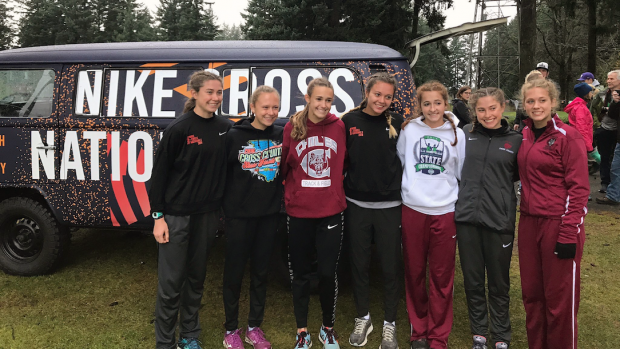 The Wolfpack continued to work together on the NXN course on Saturday with Emily Culley and Caitlin Wilkey going through the first two miles together in 5:39 and 11:49. The duo finished one second apart with Culley going 18:34 and Wilkey 18:35. Lindsay James and Abigail Schrobilgen were the next two ladies to cross the finish line in 19:47 and 19:56. Olivia Miller (20:08) and the Churchill sisters -- Alyson (20:15) and Megan (20:31) -- rounded out the top seven. Chiles placed 22nd overall with a 19:24 average and a 1:34 1-5 spread. A strong end to their undefeated season!